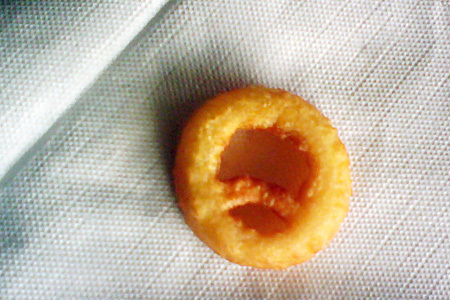 I listen to Glenn Beck a little each week, and now they're sneaking Obama Rings into my lunch? It certainly can't be a coincidence. First we have Mary apparitions in grilled cheese, and now this?! I'll be in the bunker eating freeze-dried lasagna with a nice cup of instant Chianti, if you need me.